On Thursday, October 18, alumni from various decades returned to The Storm King School campus to share their professional experiences with our juniors and seniors at Career Night. This year, 15 alumni came back to the Mountain for the event – the largest roster of alumni talent in recent years. They talked with our students about choosing a profession, getting into college, tips for success, and shared highlights of their lives after graduating from Storm King. Meanwhile, the students learned about a myriad of possible career paths firsthand, including aviation, tourism, international business, education and coaching, fundraising and philanthropy, hospitality, information technology, social work, human resources, fashion, promotions, event planning, acting and producing, forensic psychology, real estate, investment banking, photography, music, radio and TV production, and government. 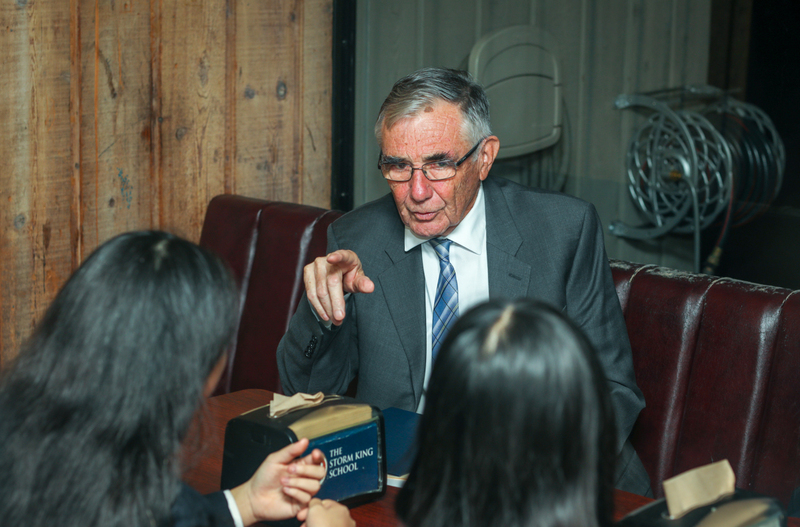 The event featured lively roundtable discussions where groups of students rotated around the room to sit at different alumni tables every 15 minutes. This allowed them to get different perspectives and introduce themselves to a variety of career paths. The format provided a personal atmosphere where many alumni were seen laughing along with the students and talking fondly about their time at Storm King. As for the students, most felt that they took away valuable knowledge, great advice, and interesting stories from the event. Several alumni also spent extra time on campus to teach alongside Storm King faculty. 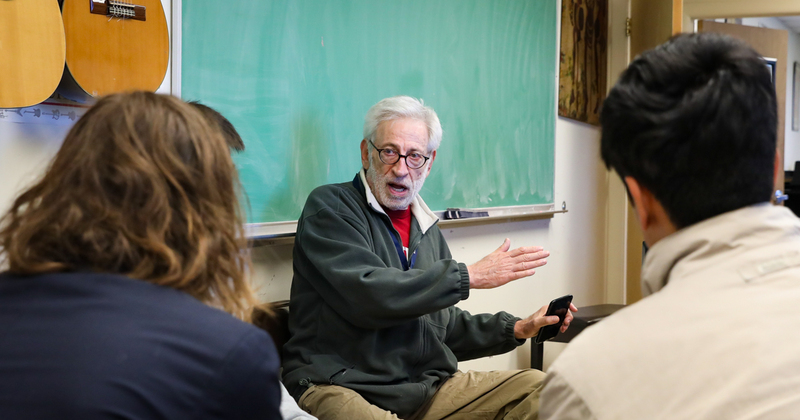 On Thursday, October 18, Stephen Paley ’60 spent the morning with Alva Nelson’s Advanced Music Theory class where he shared his invaluable experience in the music, television and publishing industries. 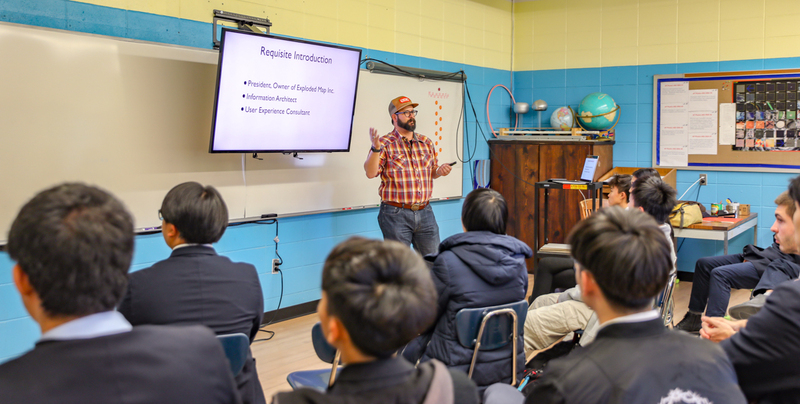 After classes on Thursday afternoon, information architect and UX designer Jared Caponi ’90 gave a special presentation on art in the digital world known as “augmented reality” – a new art form that involves creating art in virtual space as it relates to real-life backdrops. Friday, October 19, saw three more classes led by alumni. 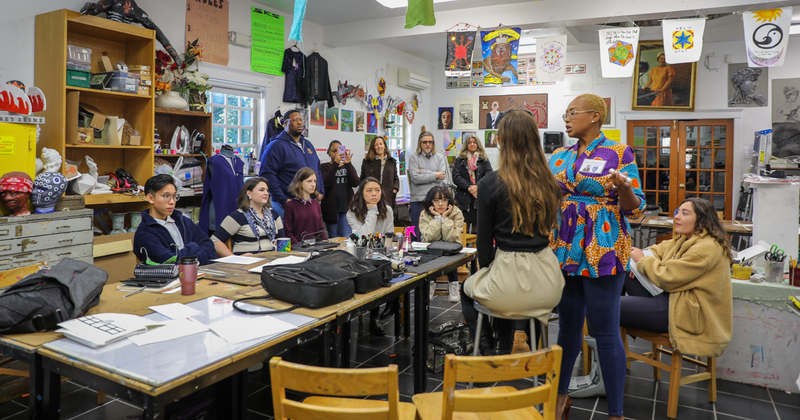 Celebrity make-up artist Shenelle Mays-Smith ’01 discussed and demonstrated the importance of make-up in the fashion industry in Ms. Liggett’s Fashion Design class, while Ricky Paull Goldin ’82 conducted one of Mrs. Fulton’s acting classes. There, he critiqued scenes from the upcoming fall production The Importance of Being Earnest and gave the students tips on breaking into the world of professional acting. To conclude the day, alumni Tom Delaney ‘58 and Andrew DaSilva ’06 spoke to Storm King Psychology students about social work, child welfare, and substance abuse. 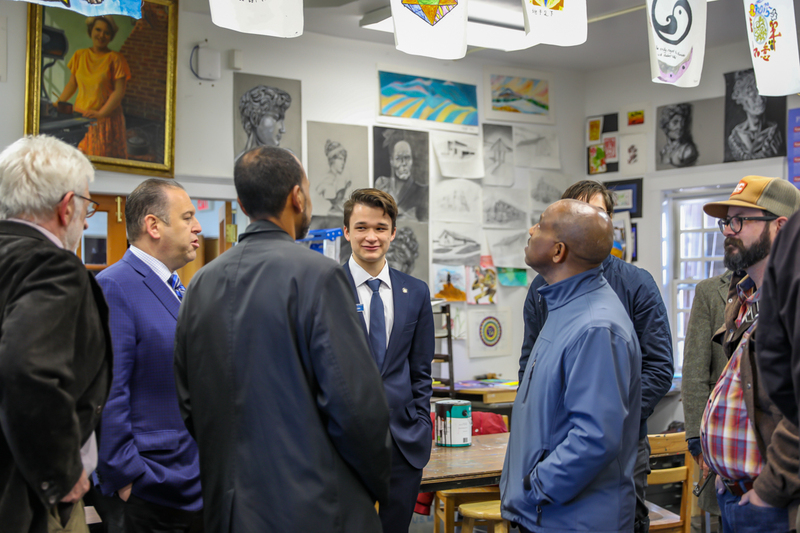 Many thanks go out to each one of our alumni who were gracious enough to donate their time away from their busy schedules, including Aaron Adderley ’88, Steven Bluth ’83, Dr. Symeon Braxton ’94, Scott Cantor ’73, Jared Caponi ’90, Andrew DaSilva ’06, Tom Delaney ’58, Michelle Arginsky Farber ’83, Sarah Fulton ’09, Ricky Paull Goldin ’82, Yasmine LaBarca ’95, Shenelle Mays-Smith ’01, Michael McAfee ’75, Stephen Paley ’60, and Michael Pock ’94. If you would like to participate as a mentor at Career Night next year, please contact Lynn Crevling at lcrevling@sks.org.